When you're the car that's set the standard for environmentally-friendly cars everywhere, you know you can't go wrong with a 2015 Toyota Prius. This iconic beauty is the benchmark that every other hybrid tries to live up to. With it's exceptional fuel efficiency and comfortable cabin, the Prius continues to impress all over Richmond, Georgetown and Frankfort. 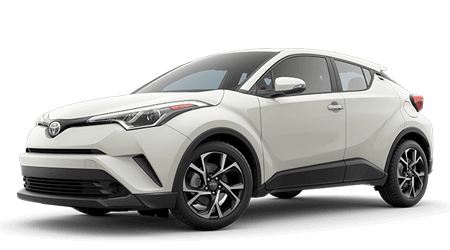 The knowledgeable sales team at Toyota on Nicholasville in Nicholasville, KY, would love the opportunity to impress you by offering you our best price on this stunning green machine. So let's grab the keys and take a 2015 Toyota Prius for a spin right now! Let's have a gander at how the 2015 Toyota Prius holds up against the Ford C-MAX Hybrid. There's no question the kind of all hybrids, the 2015 Toyota Prius, will not let you down when it comes to phenomenal fuel efficiency. The amazing Prius garners a magnificent EPA-estimated 51 city/48 highway mpg while the Ford C-MAX can't even get within 9 miles with its 42 city/37 highway mpg. And it can't even get within 11 miles when you're cruising the Kentucky highways looking for adventure. If you're looking to go green and help the planet, why not do it with as much fuel-efficiency as possible? The 2015 Toyota Prius takes the blue ribbon in this battle! The 2015 Toyota Prius and C-MAX are in a virtual tie at the starting gate here with very close MSRP's -- the Prius at $24,200 and the C-MAX at $24,170. But the Prius pulls ahead when it comes to standard features, including heated power mirrors, an audio system with 6.1 inch touchscreen, push-button start, and a Touch Tracer Display which transfers the hardware you touch on the steering wheel controls to the digital dashboard. So you'll get more for your money with the 2015 Toyota Prius. Maintaining a car as sophisticated as a hybrid can really add up if you don't take care of it. You won't have any issues with the 2015 Toyota Prius because it comes with a 2-year/25,000 mile free maintenance plan. On the C-MAX, you'll pay out of pocket for oil changes and maintenance.